I have been visiting Bangladesh since 2011. What stroke me the most here besides the inventiveness, entrepreneurship and truly inspiring landscapes season after season is the soft heart, the openness and receptiveness of Bangladeshi people. As I began to learn more about the culture, I discovered a profoundly artistic country where music and singing are the DNA of its people. Everyone, all ages, from rickshaw drivers to politicians, knows thousands of songs. Music and poetry are part of everyday life, even in the most remote villages and in the poorest homes. Both men and women perform. From songs expressing deep attachment for their Motherland to words inviting everyone to find God within oneself and calling for humanity, I wondered if the lyrics of the songs transmitted from generation to generation could be compared to prayer flags, blowing universal values and love in the hearts of the people of Bangladesh. 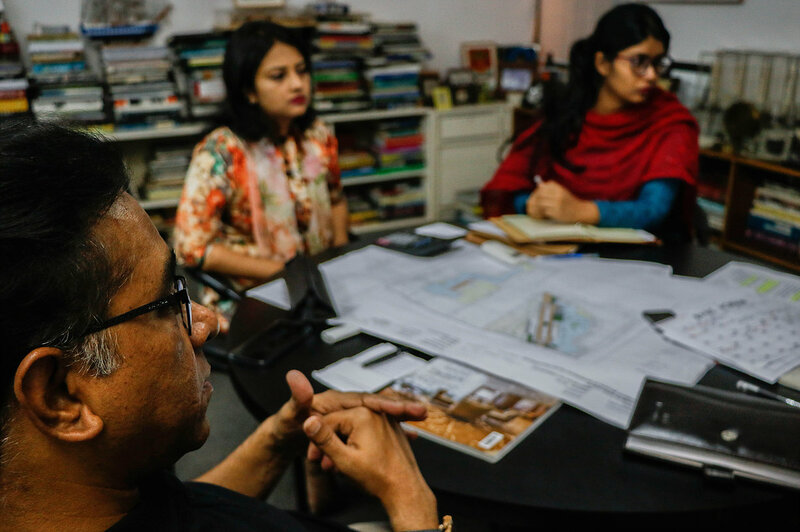 So I began to explore the work of architects, artists and musicians to see how their work is inspired today by Bangladeshi philosophers, poets and musicians. This is how along the way I discovered the work of Rafiq Azam, Oyshee and Monjurul Haque, an activist, filmmaker and Baul devotee. And there was a high tune, resolutely modern and courageous, a tune connecting people. A huge thank you to all you who are showing an interest in this project, who are behind us, encourage us and show us how much they think this film is necessary. 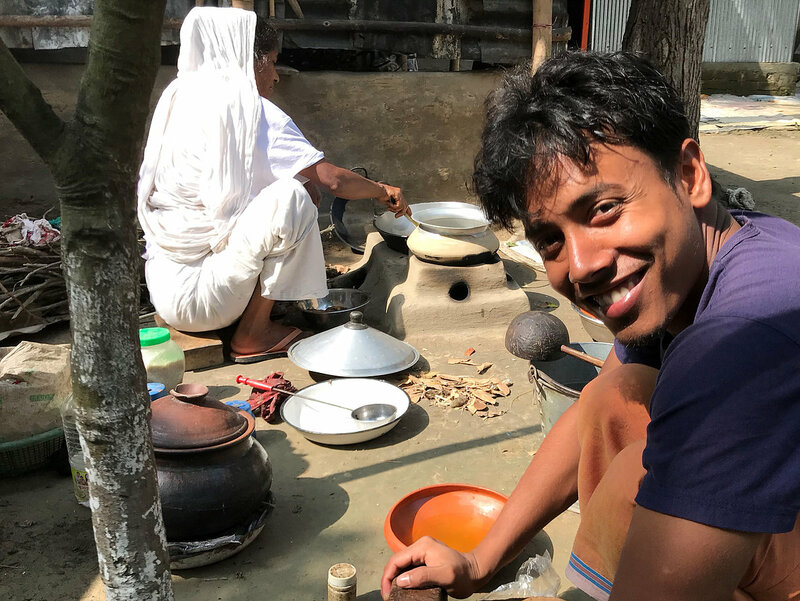 We are launching this first ever bold humans of the heart crowdfund because it seems essential to us in today's world and dominant narratives that this High Tune be carried by a movement that will inspire and in turn encourage other filmmakers from all over the world to echo Bangladesh with their good stories because good stories can connect us. In crowded, fast growing Dhaka that has only 5% of parks, playgrounds and open-space while the demand is 28%, where the biggest investment remains on walls and fences and walled enclaves for houses in the name of security; where everyone goes about their own business without worrying about others; with a population affected by the same division and fear that much of the world is now struggling with.... leading architect Rafiq Azam is bringing about changes in the lives of the inhabitants, forcing them to reverse the current situation and to build a city based on love, trust and mutual respect. 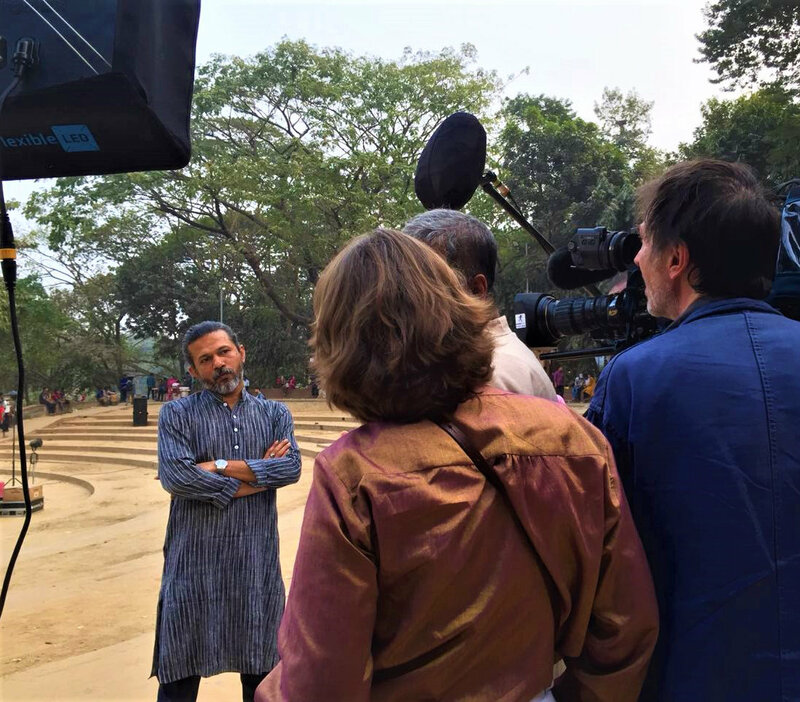 He has started to rehabilitate and beautify 31 parks in South Dhaka with a vision "no wall, no division" and welcoming designs for mothers, girls, young, elderly and professionals to reclaim parks where they will be able to meet, to talk to each other at coffee shops and to access libraries. An enchantment for some, disrupting for others, not sustainable for the sceptics but it is happening! In another part of the city, Oyshee, a 21 years old medical college and singer, studies and sings, sings and studies toward her dreams: she wants to become a doctor to inspire people to live and a singer to make the world know Bangladesh has a rich folk heritage still very much alive today. Her parents didn't raise her as a girl or as a boy but as a human. She sings folk and Lalon songs, the same songs that have inspired the architect... with her own modern tune, with force and confidence regardless of criticisms made in the name of preservation of Baul music and practices, reclaiming her oral rural cultural heritage to nurture, soothe and re-enchant the soul. They don't know each other but are connected and inspired by the same roots. He brings down visible walls. She brings down invisible walls. High Tunes, Bangladesh DNA is a docufiction film of 90-100 mm. Most of the film will capture reality such as it is, the situations and the characters in real time and life. We will also introduces fictional situations in the narrative in order to strengthen the representation of reality. The photography will combine documentary and cinema frames. 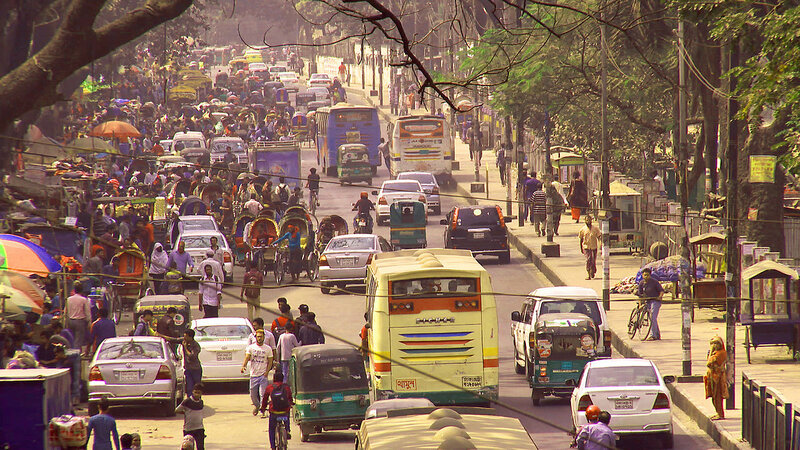 Filming will take place in Dhaka and rural Bangladesh. Post-production will be done in Paris. 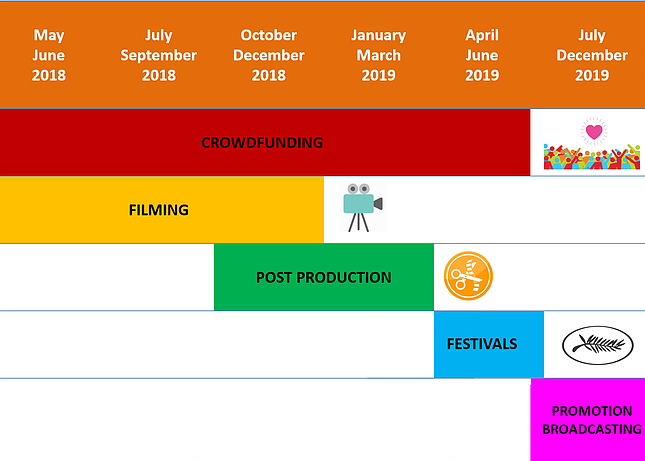 According to our tentative agenda below, we hope to finalize the film in April 2019 in time to present it at the Cannes Film Festival that usually takes place in May. The reason for pursuing crowdfunding is not just to raise money, but to show the world that there is a global demand for a new narrative. That there are people who want to move our world forward together. High Tunes, Bangladesh DNA is an offering to an audience that believes that another world is possible and support new narratives. We are looking for hundreds of thousands of symbolic donations from around the world, from people who believe good stories can connect us. The point of crowdfunding is also to convince major TV channels and cinemas that there is a real public demand for films portraying an inspiring image of our humanity. All additional donations will be used for promoting the film and to ensure broad participation in international film festivals. We will also be capturing viewers’ feedback around the word following the broadcast and screenings of the film to foster bridges and dialogue among people. We hope to kick start a "tribe" with whom we will continue in the future to support the sharing of other 'High Tunes' from around the world to truly connect humans. 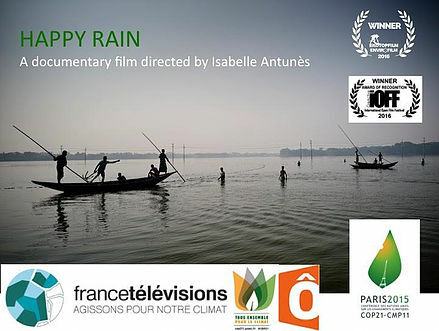 After award-winning documentary film Happy Rain portraying how thousand of farmers in Bangladesh turned the flood into a profitable fish farming venture and changed their life, Isabelle’s new film High Tunes, Bangladesh DNA brings to the fore new voices connecting people, forcing global thinking to revise its reasoning. Whether it is while witnessing the drama among the communities brought about by the establishment of the parks or while listening to those who advocate for the preservation of Lalon songs and mouvement and a "religion of humanity", High Tunes, Bangladesh DNA examines the way fear and intolerance lead to counterproductive confinement and man-made limitations, and presents a timely reminder that openness remains the best form of protection. 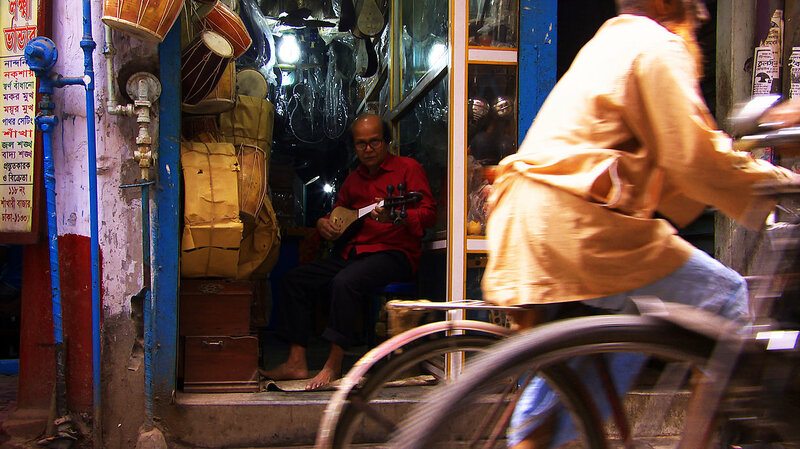 Through an intimate exploration, both into the music scene and the role of Baul music, the film presents a binding soundtrack that goes beyond religious and political divides. The music provides comfort for inner conflicts as well as fanning the flames of self-transcendence, an act of resilience and a way toward a benevolent freedom. The magic operating on the viewer as nature and beauty fill the screen and bring in good thoughts will act as a convincing demonstration of Lalon's metaphor when he compares human body to a cage and the soul or the thoughts to a bird flying in an out of the cage. High Tunes, Bangladesh DNA brings back human beings centre stage. This film illustrates the power of culture for peace. High Tunes, Bangladesh DNA reflects the spirituality, humanity and openness of Bangladeshi people, and presents a peaceful, powerful way that all of us can oppose fundamentalism. Ultimately, the film begs the question of what our dream is. Do we want division or peace? High Tunes, Bangladesh DNA is an offering to the youth and to a profound, intelligent and sensitive broad audience for whom other’s humanity is his/hers and who wants to go beyond mere analysis and questioning, too aware that it is worthwhile to attach importance to aspirations that contradict or go against the current way of thinking. The film is destined for television broadcast and cinemas. It is made for broad audience in Bangladesh and worldwide. Besides the Bangla and English versions, we will also make French, Korean, Japanese, Chinese, Bahasa Indonesia, Persan and Arab versions of the film to reach out and inspire other high tunes to echo that of Bangladesh! 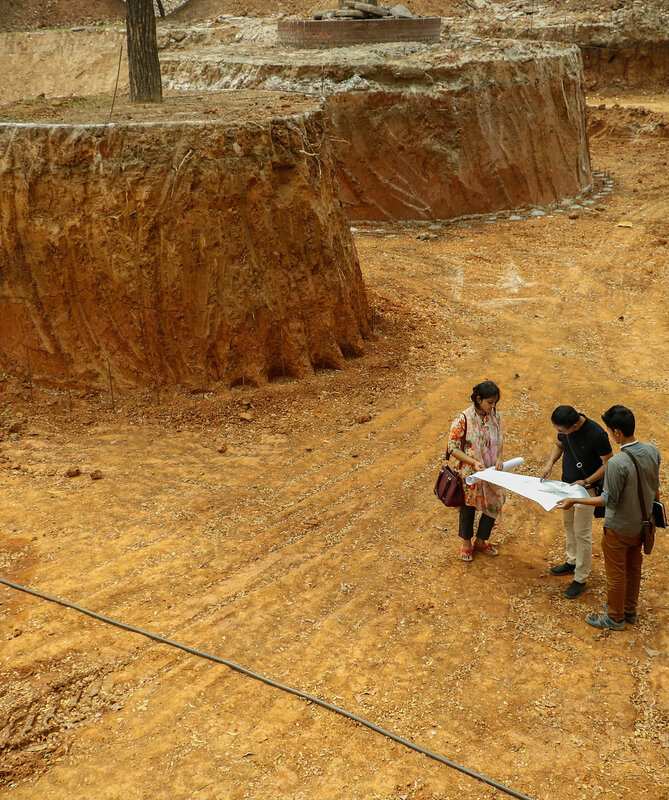 Estimated delivery of the film closely depends on work completion in selected parks in Dhaka. We hope to finish the film by spring-2019. The Bauls are mystic minstrels living in rural Bangladesh and West Bengal, India. They live either near a village or travel from place to place. Some work the land or do different type of work. Others earn their living from singing to the accompaniment of the ektara, the lute dotara, a simple one-stringed instrument, and a drum called dubki. Baul is an unorthodox mystic movement, distinct from the other religions of Bangladesh although influenced by Hinduism, Buddhism, Bengali, Vasinavism and Sufi Islam, yet distinctly different from them. The Bauls' specificity lies in their way to think up humankind's relation to God. There is no caste system, no specific deity or sacred place, no organized religion for them, and they consider that God resides in the human body. They are admired for their freedom as well as their beautiful poetry, music, song and dance which aim at spiritual liberation. Their devotional songs can be traced back to the fifteenth century when they first appeared in Bengali literature. Baul music represents a particular type of folk song, carrying influences of Hindu bhakti movements as well as the shuphi, a form of Sufi song. Songs are also used by the spiritual leader to instruct disciples in Baul philosophy, and are transmitted orally. The language of the songs is continuously modernized thus endowing it with contemporary relevance. The Baul movement, at its peak in the nineteenth and early twentieth centuries, has now regained popularity in Bangladesh. Their music and way of life have influenced a large segment of Bengali culture, and particularly the compositions of Nobel Prize laureate Rabindranath Tagore. Today, remixed on contemporary and traditional instruments, their music represents a large portion of the music industry productions. The aura of living Bauls scattered across the country who are living the life recounted in Baul and folk songs continue to strengthen the musical heritage. While a growing number are becoming ‘performing Bauls’ and 'sympathetic Bauls' using modern instruments and changing the original features of the songs, there still are practicing Baul devotees. Their number is not known. The preservation of the Baul songs and the general context in which they are performed depend mainly on the social and economic situation of their practitioners, the Bauls, who have always been a relatively marginalized group. It has become a cause taken up by intellectuals and activists who raise their voice against the commercial misuse of Baul songs. Through academia, seminars, gatherings, festivals and films, they have been working to uphold and preserve the Baul traditions and philosophy. 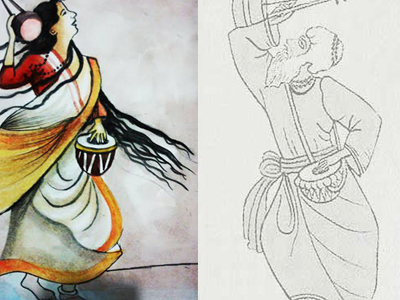 They share Baul practices and the right mood of songs, and highlight Lalon Fakir's message, an iconic 19th century Bengali philosopher, and the main force behind the Baul mouvement. A mouvement regarded as the "religion of humanity". One thing is certain: The traditions are living - the roots are passed down by ancestors, but are as live and relevant today as when they were written. Lalon Fakir has never inspired more Bangladeshi people to work for more humanity and oneness with nature, thus acting as transmission link, keeping roots alive. Ultimately derived from the Latin concept humanitas. Meaning: Benevolence toward one's fellow humans and the values imparted by humane learning. Entered the English language in the nineteenth century. Quietly sung by masses in Bengal from the same time. Johm ea ta kauke charbe na...”. Songs that call for humanity. "If men want to see God then they can see Him by any way which they follow, to him Ram, Rahim, Karim, Kala are the same name of the God." What is the pull of baul music in Bangladesh, that still puts people in a trance now, even though these songs were created so many years ago? "if Adam is made of light (nur) and Eve is made from Adam, then both share the same thing. Eve is also a mother, so through Eve (woman), the power and love of God is spreaded all over the world." How important is it that these lyrics which have blown in Bangladeshis' hearts for centuries continue to be sung today? 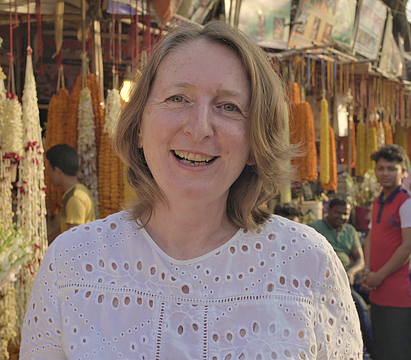 A PhD in Cultural Geography and Development from Paris’ Sorbonne University, Isabelle Antunès worked as an expert and development practitioner in Africa and the Asia-Pacific region. Isabelle has an unusual and diverse background that informs and continuously nourishes her thinking and ways of doing development work. Based on collaboration with professionals from fishermen, herders, and farmers to entrepreneurs, financiers, government officials, and development aid decision makers, she writes and directs documentary films that advance development goals by raising the debate beyond preconceived ideas. Isabelle believes human energy is a renewable resource.We talk about renewable energy as “alternative energy” but we forget that the most valuable, untapped energy is human energy. Think of what you can do when you are inspired, when you are happy or in love! Human energy is the basis for Isabelle's new approach to addressing global challenges using films to fuel people with energy for good for major shift creation of natural resources, new business models, job and goodness. She is currently developing La fabrique du géographe - a unique and innovative film production house aiming to connect minds and people with solutions. Subscribe for updates, screenings & events. © 2018 by HighTunes,Bangladesh DNA.